The year 2017 is likely to be remembered as the year of transition. And 2018 is going to be the year of experiments for the smartphone industry — marking the start of a second era of handsets for Indian consumers. Handset players will attempt various strategies as they have different agendas to drive and achieve distinct goals. There can be no similar measures working for all the handset makers; however, there are certain focal points for the industry to zero in on to succeed. 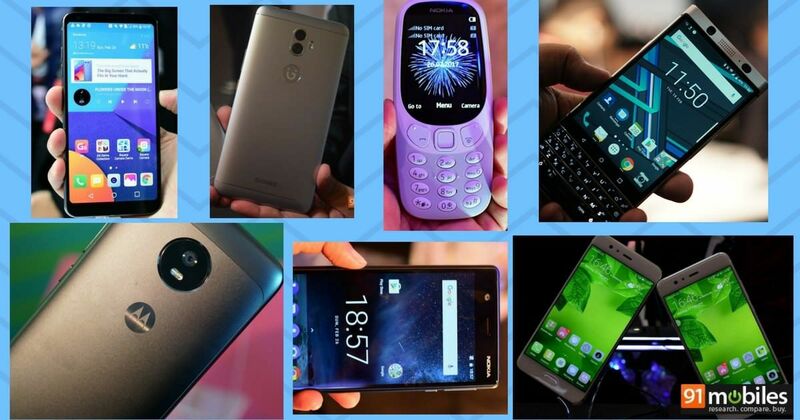 Some of the major recommendations for the industry for the year ahead would be: Premium presence: There was a time when, to become an impactful brand, a smartphone player had to have a portfolio in the under Rs 10,000 price category to essentially cater to new smartphone users. As the market grows towards upgrades and replacements, it is essential to have a portfolio in the premium category as well. The success in the premium segment will have a direct bearing on the profitability of the brand as well as its overall market standing. The premium segment is the area that home-grown brands have to focus on. Bundle up: To counter Jio, the existing players have started joining hands with smartphone makers to offer devices almost at prices in the vicinity of 4G feature phones. While it gives some respite to weakening smartphone brands as, through operator support, they could ensure some volumes, the quality at the entry level has always been questionable. The operators who are otherwise facing criticism from the ecosystem, including the government, regarding call drops, will have to be careful to ensure that such smartphones don’t add new subscribers to the base who are soon dissatisfied. Operators, especially the incumbents, must look at the next price-level band. There could be some support from the component ecosystem as well, especially the chipset makers. Telecom: This needs to be now seen in a wider perspective. The technology that lies inside a smartphone could be used to create several other products that become “smart” and “connected”. To gain substantially, it should be a critical long-term strategy point for the Indian brands. They should, in fact, collaborate to look at this future opportunity. Also, the local brands must explore gaming consoles and other devices that can be explored within the same ecosystem. Hybrid channels: Offline or online? The answer would be both. Exclusive or multi-brand? A complicated question. We have seen the trend triggered by Xiaomi — and adopted mby Oppo as well: Strong Chinese brands will go for their own exclusive retail stores. Indian brands would, however, prefer the multi-brand strategy as they don’t have the resources to expand retail exclusively. Another way would be hybrid channels where one can take advantage of online selling while, at the same time, being assured of a physical connect with prospective buyers, especially in the rural and remote urban markets. One such channel worth exploring would be the Common Service Centres (CSCs) across the country. That would be RaaS (Retail-as-a-Service) model for the handset makers. Purpose-built smartphones: The era of exploring the device is over for a substantial number of users and now the use cases are pretty much defined. From the hardware perspective, the smartphone is more or less commoditised and the “solutioning” around it would matter a lot and bring in premium value. The handset makers need to identify considerable opportunity segments and build a smartphone catering to those. This would put a brake on the trend of loading devices with higher specifications which go unutilised as the user may not need them. The value-add should come from handset makers and experts in the field. Realistically futuristic: One of the challenges with brands selling smartphones is showcasing the future of technology to keep the market excited. However, while doing so, they end up showcasing technologies that are at least a decade ahead. This could backfire on the brand. The entire R&D effort can be jeopardised, creating an imbalance between resources and effort. It is high time the industry started identifying the challenges, understanding which of these could be addressed quickly and then focusing experiments on them. There is no single set of solutions cutting across all the brands and replicating the successful strategy of one brand would not work for another. The experiments next year would have to be focused and result-oriented.